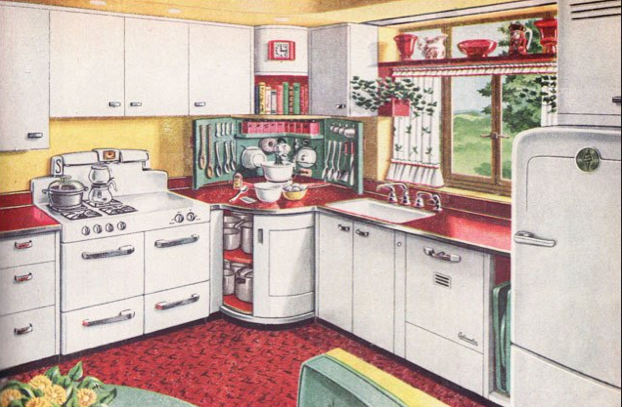 A History Writer in the Kitchen: Were they more sensible in older days? and I am finding it eminently sensible on this topic. 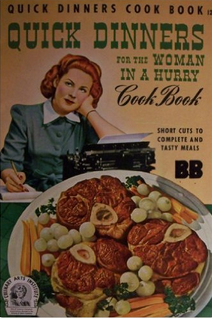 I always thought cookbooks before the crazier convenience foods (1950s and 1960s??) would be like "make 6 loaves of bread before breakfast and put your roast over the fire and go pick some produce in your garden and make a cake for the neighbors and pack a perfect lunch for the children......" but this not only gives very clear grocery lists, dinner menus, and step-by-step cooking plans, but says "of COURSE you won't be making your own bread, your own pastries, etc etc etc, especially on a work night." Is it me misunderstanding (or me being a crazy-slow cook), or have I been seeing a lot of pressure in social media to make so many of one's own foods that one would have no time to hold down a job, write another book, take care of an infant, etc etc? 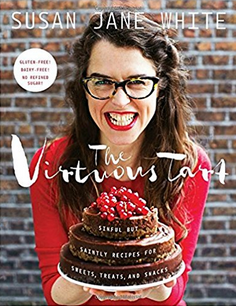 But this book does not go overboard on buying already-made foods, which also would not suit me at all; it uses good real foods and just suggests a few premade treats (like tonight is a coconut cupcake, if one can find a good version of that...). 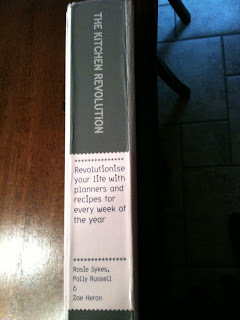 In fact, in with the step-by-step meal plans are elegant ideas like "put your plate to warm"! 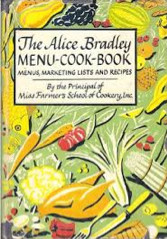 Let me hasten to say it's not that the book is against say making your own preserved lemons if you have time -- in fact, Alice Waters' recipe in her Pantry book takes almost no time at all -- it's just that it's realistic in a very kind and very elegant way.